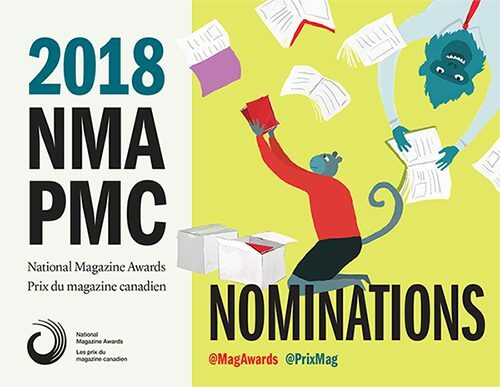 The National Magazine Awards Foundation has announced their 2018 finalists, and we’ve compiled our annual list of Alberta-based magazines in the written, visual, integrated and special categories. Congratulations to all of the NMA finalists! Gold, Silver and Honourable Mention awards will be presented at the NMA Gala on June 1, 2018 in Toronto. Tickets are on sale at magazine-awards.com.